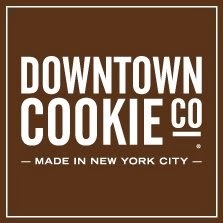 Downtown Cookie Co. Made in New York City. Downtown Cookie Co. bring bakery freshness right to your door! The products come gift giving ready which is perfect for sending out this holiday season. I loved the selection they sent over for my taste testing. I did share.. though I really didn't want to. These mini cookies were delectable! Being smaller may have meant I thought I could eat more.. but I will never tell. They had bits of toffee in them and were moist, buttery, and so fresh! The Chocolate Chocolate Chip cookies were a chocolate lovers delight! Full of rich chocolate flavor, you needed to limit yourself with these. They are rich and tasty! Very fresh and held up great when I dipped them in milk. 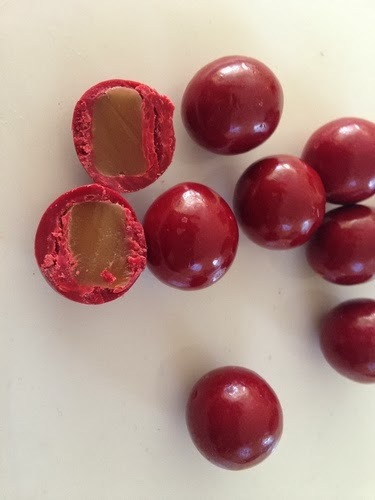 Red Apple Caramels were a unique confection! The caramels just melt in my mouth. They are flavorful on the outside, with a buttery caramel on the inside. I have a hard time eating some caramels because they are too sticky and chewy, which isn't good for dental work. These caramels are in a class all their own! Not overly sticky, not hard to chew. They are sweet, flavorful and very soft! 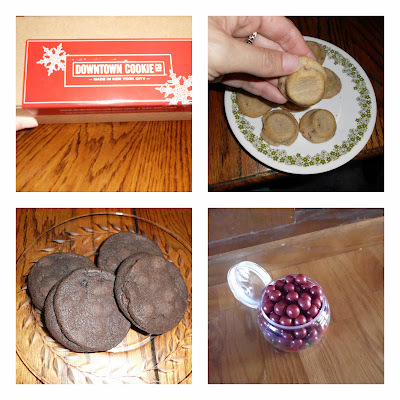 Using quality ingredients, Downtown Cookie Co fills that niche for hearty, tasty, homemade cookies! We all need a little more time in our day, and I know for myself one of the first things to go by the wayside when I am busy is baking great treats. Wonderful that we can have fresh baked goodies from Downtown Cookie and still have time for our other projects! Consider Downtown Cookie Co this holiday season for friends and loved ones! Check out their unique confections and give the gift of yummy this year! I would like to try the Jane Street Jam Cookies. i would love to try the Thanksgiving Stuffing cookie!!! That is an easy question I want the pumpkin fudge. I would want this Dozen Box of Cookies with Jane Street Jam, Peanut Butter and Chocolate Chip would be wonderful at my house. Chocolate covered cookie dough sounds delicious. I'd like to try the Jane Street Jam Cookies. I entered the Lost and Found giveaway. Always wanted to try these!! Chocolate Covered Espresso Beans!! I would love to try the Holiday Special Trilogy Package of Cookies & Confections. I'd love to sample the Peanut Butter Cookies. If not them then the Jane Street Jam Cookies. Thanks for the giveaway. Also entered the 3D Puzzle from Ravensburger giveaway. Holiday Candy Cane Malted Milk Balls.